Mukti Khaire is a Berlin School faculty member teaching creative leadership and ethics. 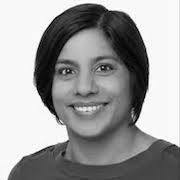 Mukti Khaire is Professor of Practice at Cornell Tech. She received a PhD in Management in 2006 from Columbia University’s Graduate School of Business. Before that, she completed a Masters in Management from Indian Institute of Technology (IIT) - Bombay and a Master of Science in Environmental Science and a Bachelor of Science in Microbiology from the University of Pune, India. Prior to joining Cornell Tech in 2018, she was on the faculty of Harvard Business School (Entrepreneurial Management Unit; 2005-2018) and spent a year as Visiting Faculty in Brown University (Sociology; 2015-2018). in leading business and management journals, has shed light on the structure and functioning of creative industries and the business and societal implications of entrepreneurship in the cultural sector. Mukti has also authored 35 teaching cases on firms in the creative industries.